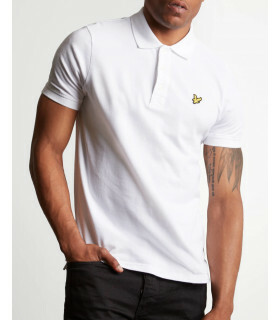 A collectors must have, the Sergio Tacchini New Young Line polo shirt. A wimbledon winners design that was a mid 80s classic as worn by sponsored players McEnroe and Cash very popular with 80s casuals. Featuring a main body colour of white with coloured shoulder details in navy blue the new young line polo is and always has been a great two colour option for ultimate sports style. Ribbed collars and cuffs provide a comfortable fit and the striped details across the chest and embroidered Sergio Tacchini logo work effortlessly.